Check out Tobi's Mine Forever Plunging Neckline Tee Dress Always on the lookout for casual, comfy 'fits? Look no further. The Natural Mine Forever Plunging Neckline Tee Dress is an oversized deep v t-shirt dress with a choker detail that stands out. Perfect for casual walks to get coffee or walks with the pup. Always on the lookout for casual, comfy 'fits? Look no further. 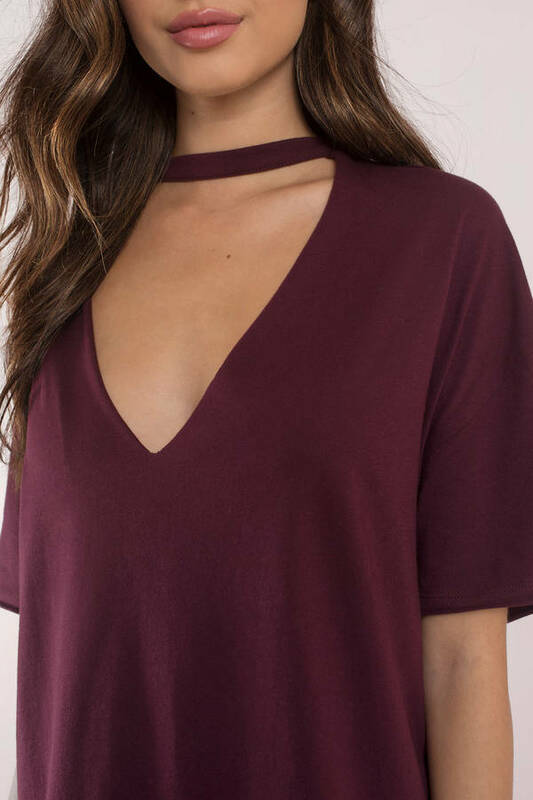 The Wine Mine Forever Plunging Neckline Tee Dress is an oversized deep v t-shirt dress with a choker detail that stands out. Perfect for casual walks to get coffee or walks with the pup. Always on the lookout for casual, comfy 'fits? Look no further. The Natural Mine Forever Plunging Neckline Tee Dress is an oversized deep v t-shirt dress with a choker detail that stands out. Perfect for casual walks to get coffee or walks with the pup.